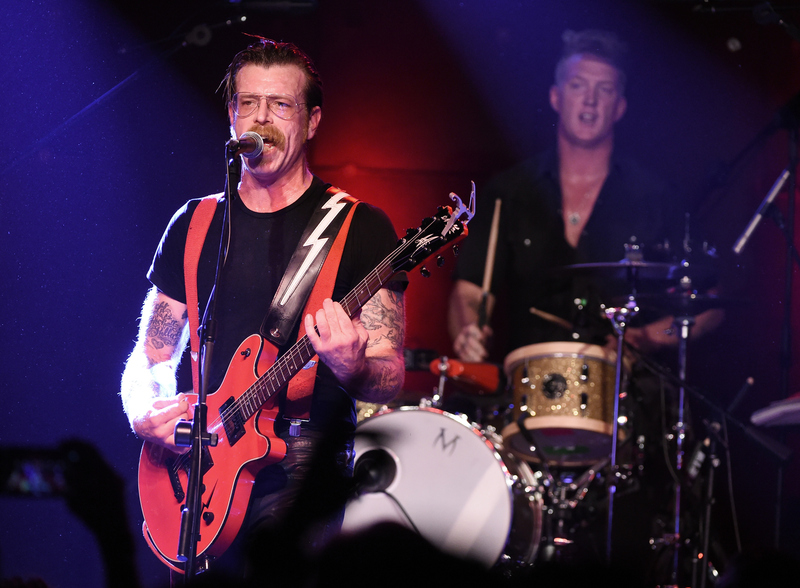 American rock band Eagles of Death Metal was playing at the Bataclan theater in Paris when terror struck the concert hall, leaving 89 dead. On Wednesday, Nov. 18, Eagles of Death Metal posted its first official statement on the attacks on its Facebook page. The band opted for a message of love, unity, and remembrance in a moving post. It's a reminder of how raw these events still are for the band, the people of France, and the world. "While the band is now home safe, we are horrified and still trying to come to terms with what happened in France," the statement begins. "Our thoughts and hearts are first and foremost with our brother Nick Alexander, our record company comrades Thomas Ayad, Marie Mosser, and Manu Perez, and all the friends and fans whose lives were taken in Paris, as well as their friends, families, and loved ones." Although bonded in grief with the victims, the fans, the families, the citizens of Paris, and all those affected by terrorism, we are proud to stand together, with our new family, now united by a common goal of love and compassion. We would like to thank the French police, the FBI, the U.S. and French State Departments, and especially all those at ground zero with us who helped each other as best they could during this unimaginable ordeal, proving once again that love overshadows evil. Like so many others who were affected personally by the attacks, the band has chosen to speak about the enduring power of love, rather than hatred. Their statement reflects appreciation for all those who assisted in the rescue operations on the night of the attacks, as well as those who are working now to prevent more attacks going forward. The band also makes clear that they are standing with the other victims at the Bataclan and the rest of the French people as they begin to move past that heartbreaking night of loss. The band concluded its statement by announcing it has put all of its scheduled shows on hold for the foreseeable future, and offering one last sentiment of endurance: "Vive la musique, vive la liberté, vive la France, and vive EODM." You can read the full statement, as well as see the artwork that accompanied it, below. For information on how to help the victims of the Paris attacks, click here.